Above Photo: The Corey Family in Robert's Jewelry store, Madawaska, Maine on the last day of their Mom and Dad's retirement sale in 1996. All 7 Corey children worked together with their parents. 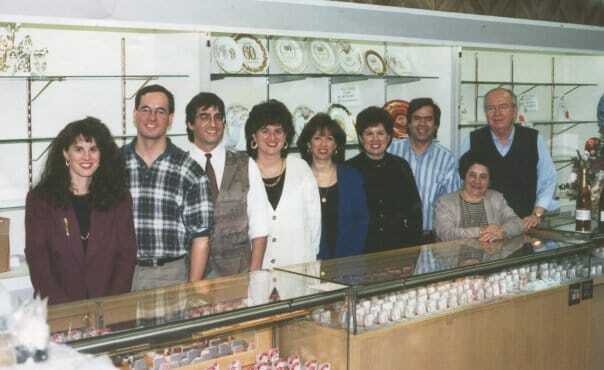 Robert's Jewelry Store is now owned and operated by Robert Corey Jr. — Pictured from left to right; Anne Corey Cyr, Jim Corey, Bob Corey, Jayne Corey Johnston, Jean Corey Foster, Jolene Corey Cleland, Enid Corey, Jeff Corey and Bob Corey Sr.
Day’s mission is "to build a company that stands the test of time". Our uncompromising commitment to continually exceed customer expectations has been the cornerstone of the Day’s brand for over 100 years. We believe that your jeweler should be your professional consultant, much like your doctor, attorney and accountant. "We promise to always provide the best value in our goods and services." 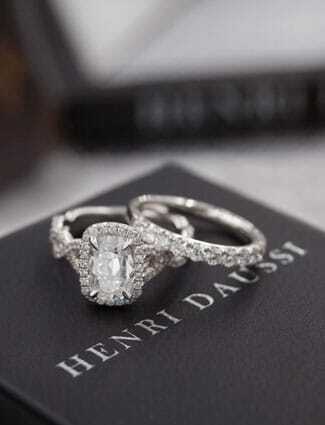 It is our commitment to provide fine quality jewelry that will last for generations at a fair price. We do so through efficient cost management and purchasing products as close to the source as possible. We will not mark prices up just to put them on sale to make you feel like you’re getting a "deal." We want you to fall in love with a piece and know you’re paying what it is really worth. "We promise to provide everyone with the opportunity to own fine jewelry." 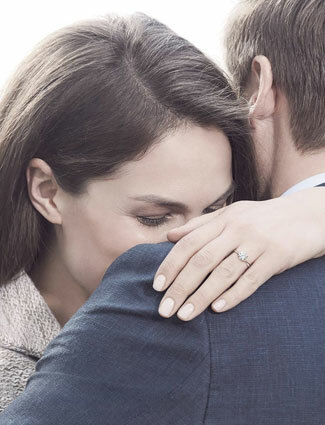 Everyone should have the opportunity to enjoy and experience fine jewelry to commemorate special moments in life. Day’s offers one of the largest collections of jewelry in America in a wide range of prices. Day’s also provides easy payment terms through our layaway plan and in-house charge account program. "We promise to always conduct business in an environment of trust and transparency." Day’s is committed to fostering healthy, meaningful relationships with our vendors, employees, customers and our communities. Trust and transparency will always be the fundamental core of our relationships. "We believe the true value of a piece of jewelry is not in its price, but what it means to the person who wears it." We know that every piece of jewelry is worn to represent love, a relationship or a special accomplishment in life. 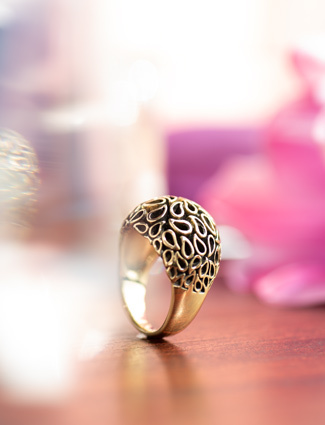 We promise to treat every piece of jewelry, regardless of cost, with the respect it deserves. 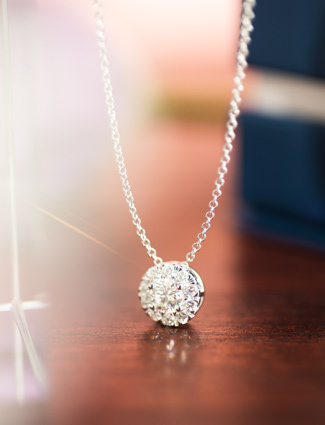 Whether you come to a Day's store or shop at www.daysjewelers.com, you will receive personal attention from a Personal Shopper to help you choose a piece that embodies the sentiment it is intended for. In 2014, Day's marked a new accomplishment towards standing the test of time by celebrating 100 years in business. Over the past century, Day's has been family owned and operated by two different families with a strong connection to each other. Day's Jewelers was founded in 1914 by Captain Harry Davidson, whose ill health forced him to abandon a life at sea. The first Day's was a small pawn shop/auction center located in the Old Port District of Portland, Maine. Shortly thereafter, Captain Davidson was joined in the business by his three sons Sidney, David and Herman. During the ensuing 30 years, the Davidson brothers opened 21 Day's stores throughout northern New England. Day's quickly became one of the most formidable jewelry store chains on the East Coast. In 1988, at ages 85 and 80 respectively, Sidney and David Davidson, the remaining owners of Day's, decided to retire. They searched for new owners that would carry on their company's traditions of great value, outstanding quality merchandise and top level customer service. They found their new owners in Jeff, Jim, and Kathy Corey, and Mark Ford. Jeff and Jim's father, Robert Corey, got his first job at 11 years old as a stock boy at Day's in Portland. Robert Corey worked for several years under the Davidsons eventually becoming Manager of Day's Jewelers in Caribou, Maine. In 1955, he left Day's and he and his wife Enid (Sleeper) Corey opened their own store, Robert's Jewelry in Madawaska, Maine. Robert and Enid raised Jeff, Jim and 5 other siblings in the jewelry business and were taught at an early age to appreciate every customer, and treat them like a "King." This is the philosophy that still governs how Day's does business today. In 2007, Joseph Corey, the son of Jeff and Kathy, began working at Day's Jewelers in South Portland, Maine in their jewelry service department. In 2009, Joe enrolled into Day's management training program and 3 years later was hired as Manager of Day's Jewelers Manchester, New Hampshire store. In 2017, Joe was hired as Vice President of Store Operations, responsible for oversight of all Day's locations. Today, Day's operates eight stores in Maine and New Hampshire. The Corey family combined skills and knowledge from the Davidson's Day's Jewelers with modern technology to create a jewelry retailer for a new era. This evolution enabled Day's to establish an e-commerce website serving customers from across the globe and continues to make Day's a jewelry destination for all ages. During the next 100 years Day's will continue to innovate and utilize new technologies that enable us to better provide an experience that exceeds expectations through exceptional personal customer service, fine quality, and low prices. These, after all, are things that will never go “out of style” and that generations have come to expect from Day's for more than a century. Day's has been recognized as a business leader both locally and nationally. In 2016 Day's Jewelers was selected as "Retailer of the Year" by the Retail Association of Maine. In 2017, the company was awarded "Retailer of the Year" by the Woman's Jewelers Association of America.